Falls in older adults are becoming more common. Seniors who fall, may suffer serious injury, or death. Falling down isn’t a natural part of aging. It doesn’t have to happen. Prevention can go a long way to protect you. 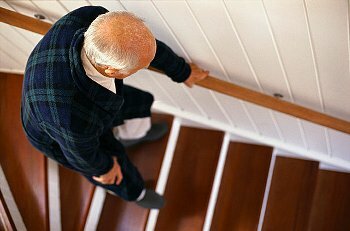 Once injured from a fall, many older adults develop a fear of falling again. They may limit their activities, hoping to prevent another fall. After taking a fall in the New York City subway in 2008, Julian Sacks fell again. He lost interest in life, stopped eating, and died. The story was reported on ABC News. Every year 1 out of 3 adults 65 and over falls. 20 to 30 percent of people who fall, suffer moderate to severe injuries, such as cuts and bruises, fractured hips, and head injuries. The most common areas subject to breaks, are the pelvis, spine, forearm, leg, hip, upper arm, and hand. Most fatal falls occur at home. A stronger core means you’re more stable, while going about your daily activities. Strengthening core muscles helps to maintain your independence. Core strength improves your balance. You’re going to stop falling. Life becomes more pleasant, when you lose your fear of taking a fall.